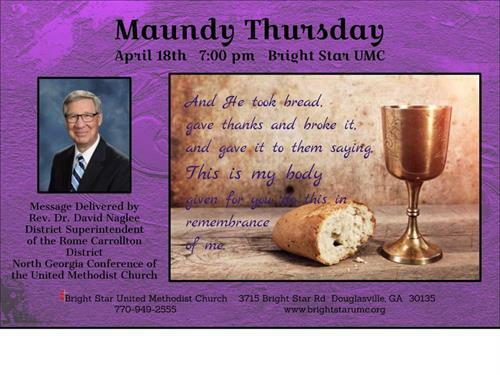 Join us on Thursday, April 18th at 7:00 pm for Maundy Thursday. The message will be delivered by the Rev. Dr. David Naglee, District Superintendent for the Rome Carrollton District of the North Georgia Conference of the United Methodist Church. Everyone is invited to attend!